**Today, I am partnering with The Original Designer Pool Noodle company to show the many, many amazing ways you can use your pool noodles in and out of the pool! All Opinions are my own. With summer around the corner, many of us are pulling out last summer's pool noodles to find a few needing to be retired. Before you throw them away, check out the pool noodle life hacks below. I've already done the boot-hack to store my winter boots! 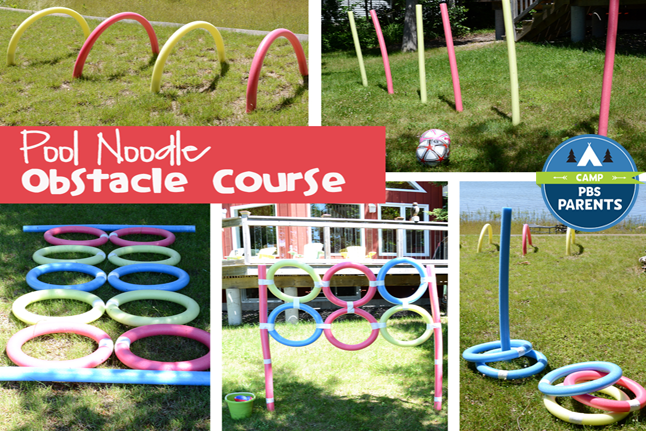 Even, PBS, knows pool noodles have exponential uses, check out their mega Pool Noodle Obstacle course. 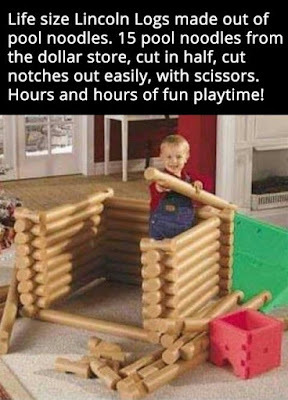 How's this for genius, a life-size Lincoln Logs House made from pool noodles! The Seasonal Home shows how to make festive holiday decorations with pool noodles, including Large Faux Chrismas Candy decorations! 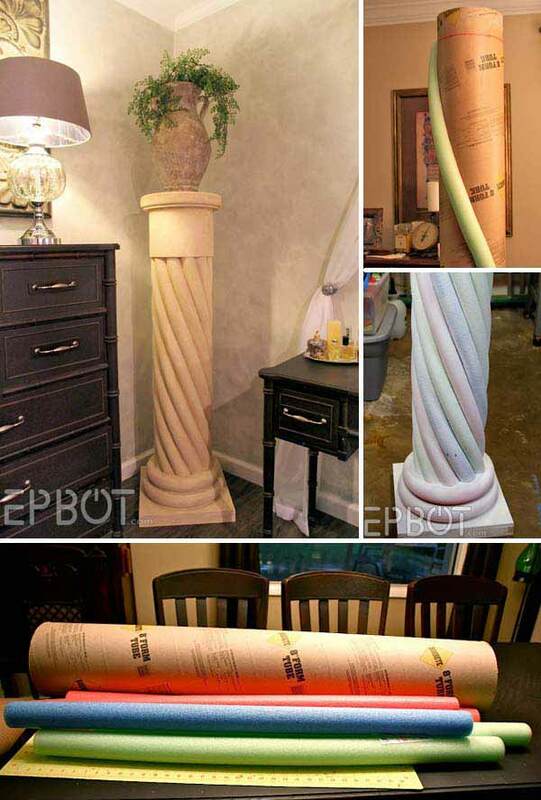 This DIY Faux Roman Column from Epbot is OFF -THE-CHARTS! 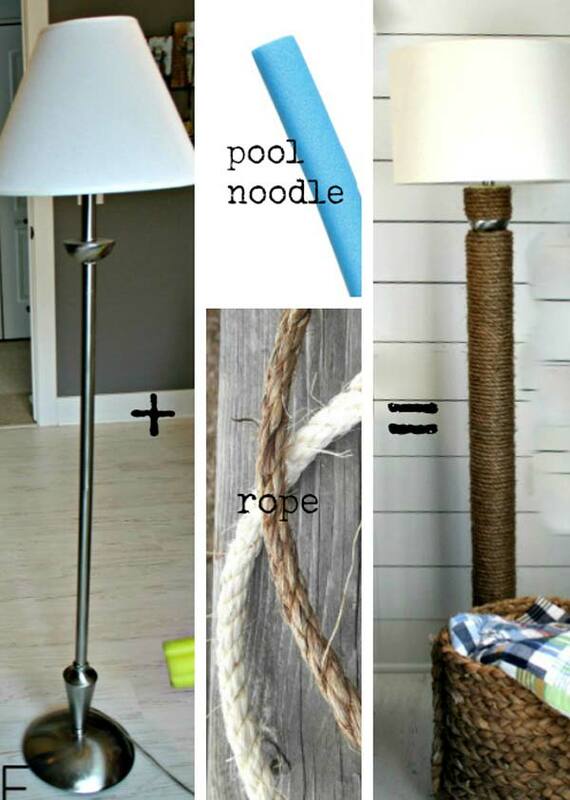 LOVING This DIY Pool Noodle Rope Lamp from Refab Diaries! BRAVO! This Pool Noodle Pirate Ship is fantastic! 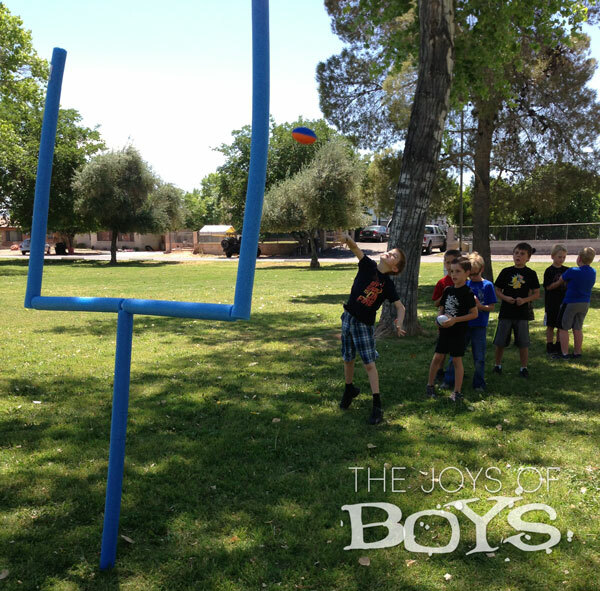 Three cheers for The Joys Of Boys Pool Noodle Goal Post! So smart! 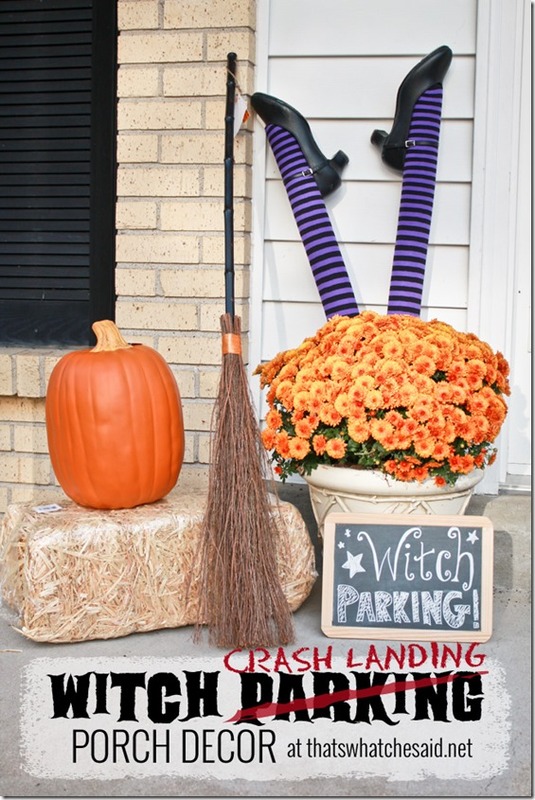 Totally making these DIY Pool Noodle Witch Legs and shoving them in the bushes. Or, go big with this DIY Pool Noodle Spider. 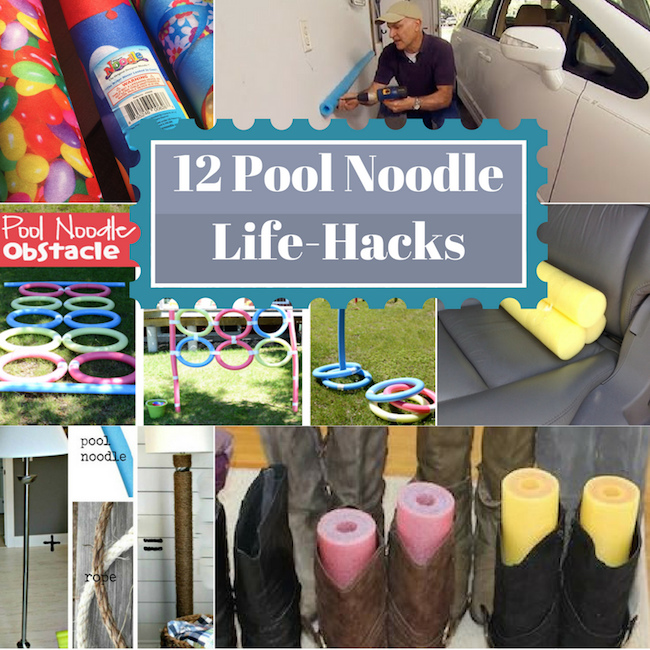 Of course, no pool noodle list would be complete without showing the garage door bumpers. then paint to match! Or not. One word, Sweaters! 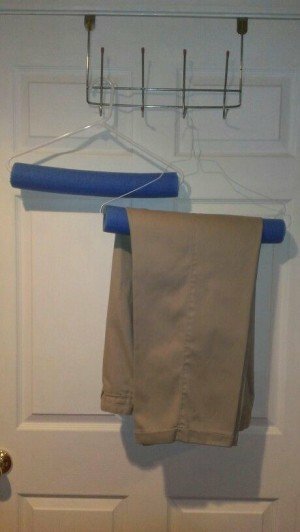 Great for pants, but YES! for sweaters. I hate the bend from folding over sweaters on a hanger. 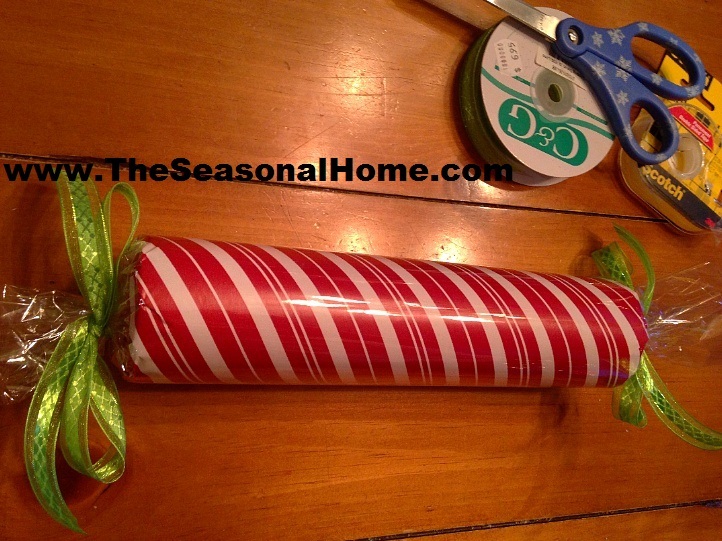 My personal favorite is this pool noodle boot shaper trick. I did it before putting my winter boots away last week. Totally works. 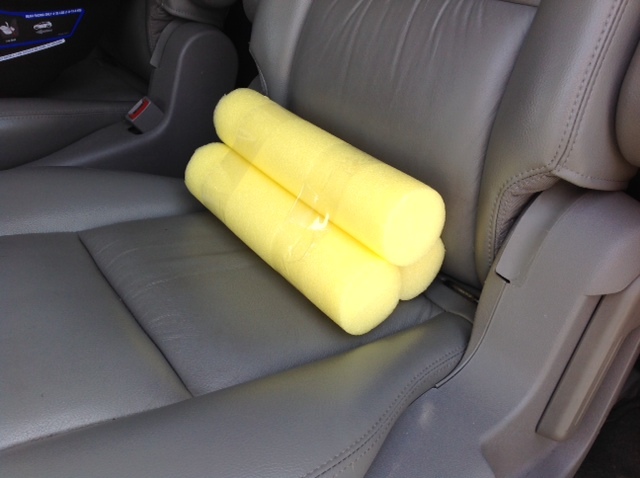 BONUS: Need some Lumbar support in your car? Or desk chair? Again I want to thank The Original Designer Pool Noodle team for motivating me to start a conversation about the many many uses of pool noodles. 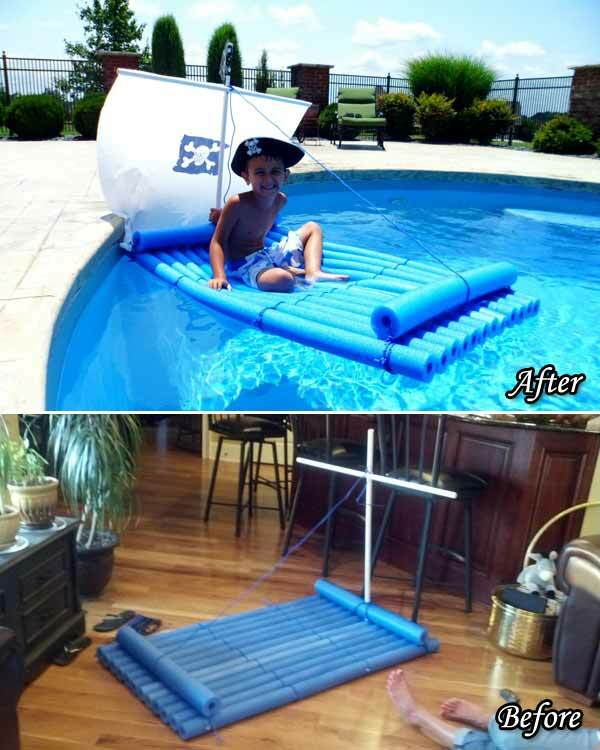 To check out their wide range of pool noodle designs, and rafts or to find a store near you, click here! 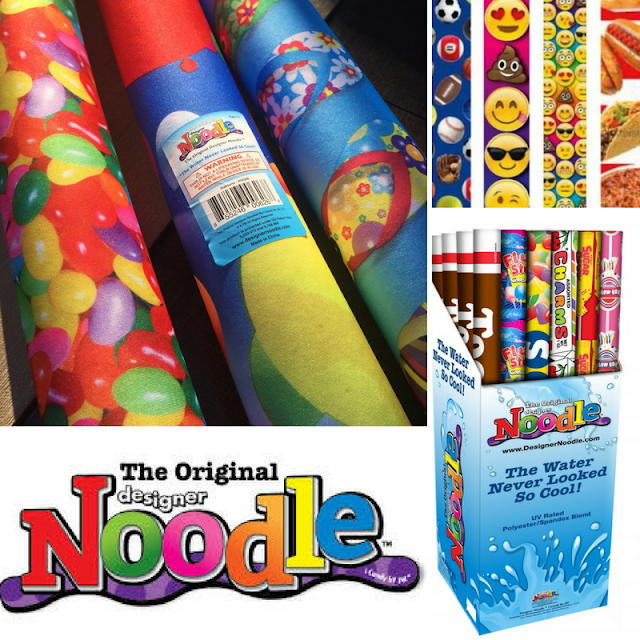 The Pool Noodles pictured above top left-- the Jelly Bean, Flip Flop and Party Balloon designs I have and love!!! Talk about never wondering if it's your pool noodle or not, when at the pool. They are super soft too! !